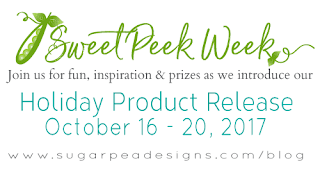 Welcome to Day 4 of SugarPea Designs' Holiday Release Sweet Peeks! These new products will be available for sale at 6 pm on Friday. 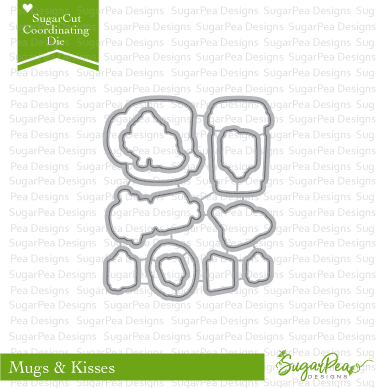 Today, we've got a super-sweet holiday treat stamp set with matching dies. When I saw the 'Oh Christmas Treat' sentiment, I knew I wanted to build a marshmallow Christmas tree. I masked a triangle on my focal panel and filled it in with the marshmallow stamps, starting with the largest and then filling in spaces with the smaller ones. I coloured everything with copics and backed it onto some of our previously released Happy Holidays patterned paper. I always enjoy your clever designs. LOVE this. Oh, yeah...Makes me want to start singing Christmas songs...with a twist! Very clever and cute card. Thanks. Very sweet indeed, and so clever. Love it. Such a clever way to use the images, love it! What brilliant idea. Just love it! Very cute set. Love it. Such a fun and cute card. Oh this is just too cute!!! It will for sure put a smile on someone's face. Cute and clever idea to make a marshmallow tree. OMG!!! That is so clever and adorable! I didn't think this set could be cuter but stacking them in a tree is adorable! Holy marshmallow tree! This is genius!!! Such a cute card! Love the tree of marshmallows. So, so cute ! 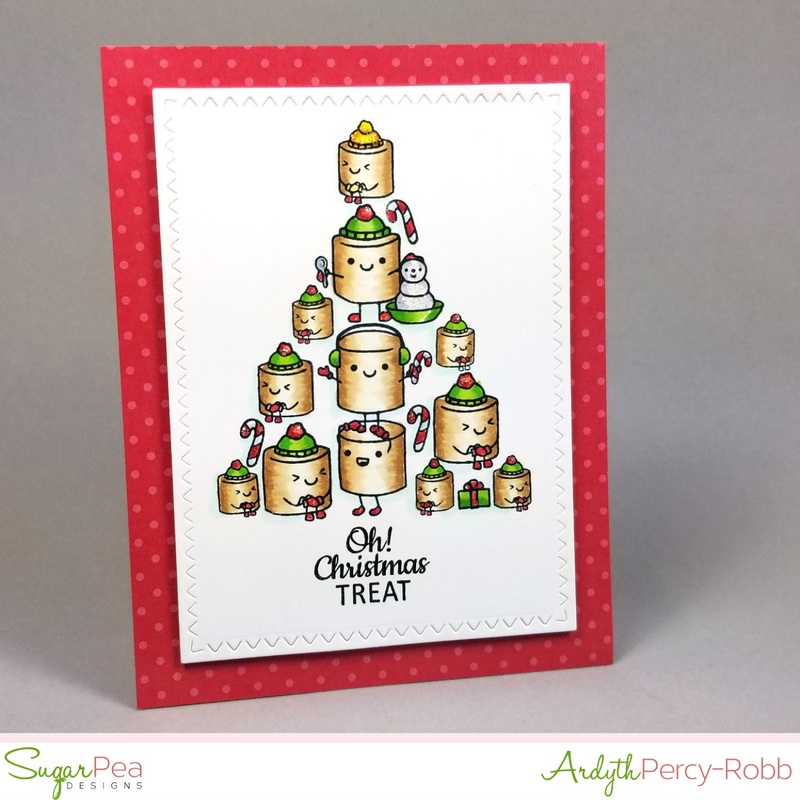 What a fabulous and so clever showcase of this adorable stamp set ! Love your patterned paper too ! Amazing ! Thanks so much for sharing and for inspiring ! I love it! Cute and clever. What a genius you are! This is so awesome. Very creative wat to create a Christmas tree. What a fabulous design. So creative. Love the coloring too. Your card is so fun ! Super creative and oh so cute! This is darling - so creative! Hahaha! I love those cute marshmallows! Love the tree built from marshmallows! Very cute!!! And colouring is adorable!!! Wow, love how you have used this image! just lovely! Love the old fashion look of them!